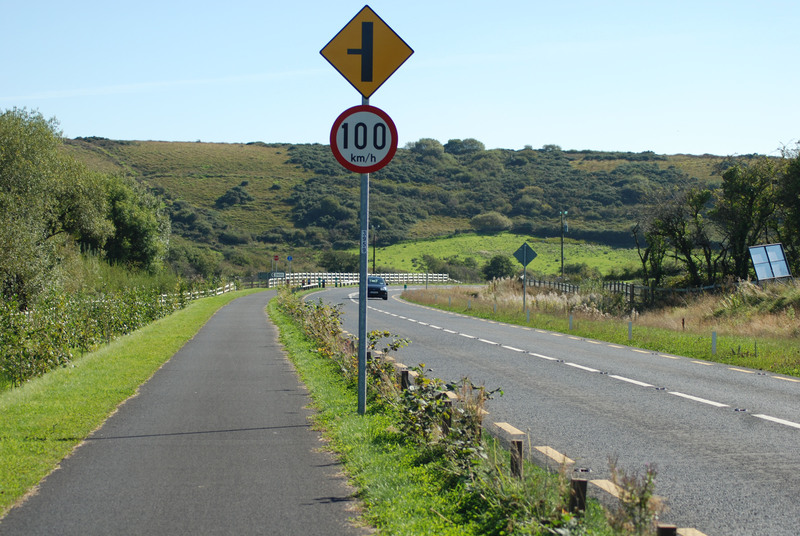 Above is a section of the Great Western Greenway which is part of a newly upgraded section of the N59, with a speed limit of 100km/h. Not much more than a meter of segregation with short wooden stakes and some wire on it. And no segregation in some sections of the road, as above. Also a 100km/h road. That 100 km is 60mph which is very dangerous on a narrow road like that and I notice there is a bad bend on both those Pictures . Possibly loads of bad bends on the entire route for 100rds of KM. Needs to be 60 km limit at the very least or 37mph to make it reasonably safe. You could say this needs to be done on all the N Roads in Ireland to make them safe not even mentioning Greenways. As a compromise 80 km limit on all the N Roads in Ireland which is 50 mph which at least slows that Traffic down a bit. 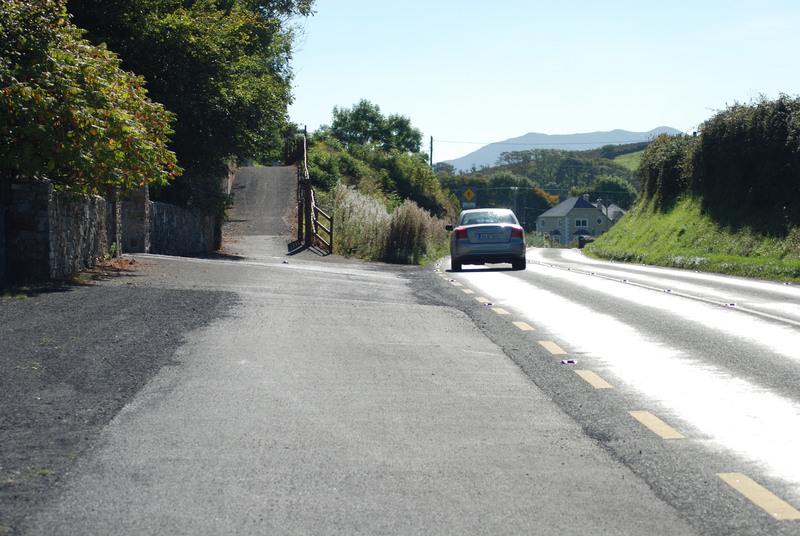 The first picture is not a narrow road — it’s a new upgrade built to a fairly high spec. The only issue is the narrow segregation lacking a decent barrier.